READY NOW!!!! 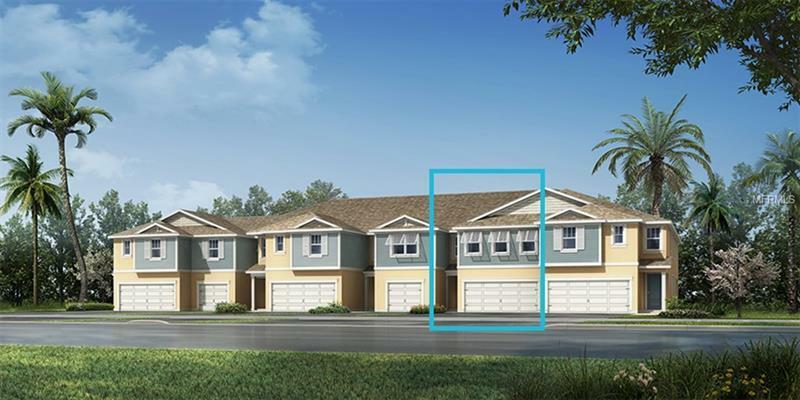 Great Sebring townhome with open floor plan! Oversized breakfast bar, 8' interior doors are just a few of the upgrades. Enjoy entertaining guest with its wide open kitchen, dining and gathering room, with multi glass sliding doors leading out onto the screened in lanai. A powder room is located on the main level. Kitchen is a stunner with its Linen recessed panel cabinets, Espresso cabinets on the island, with Coarse Carrara Zodiaq quartz counter tops and tile back splash. Travel upstairs to the owners suite complete with TWO walk in closets and tray ceiling. Owner's bath features dual sink raised vanity with same beautiful granite counter top, large shower and water closet. Large loft area is a great place for secondary living space or a at home office. Two secondary bedrooms are on the other side, both feature walk in closets. Laundry room is located upstairs for convenience. Located in a gated community with waterside pool and cabanas, clubhouse with fitness center, dock, kayak storage and launch, you can't ask for a better place to call home!